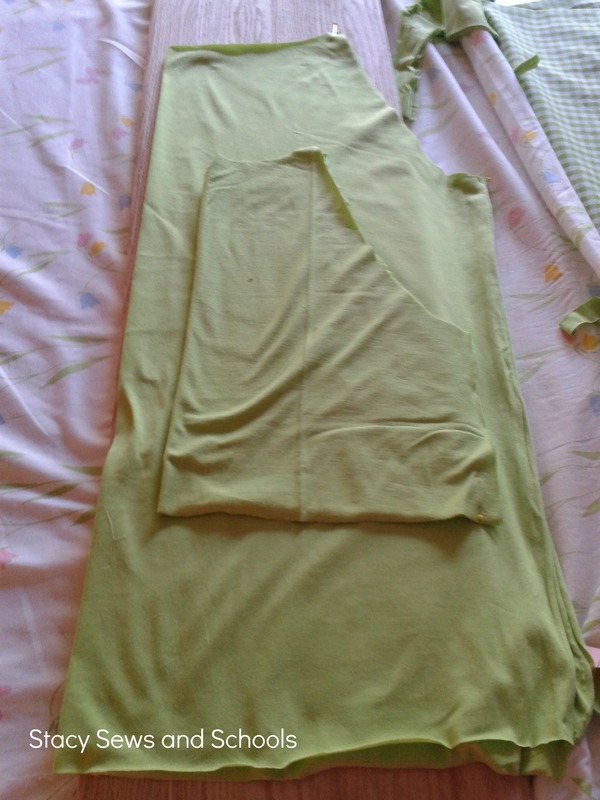 A little note about sewing with knits, it’s a good idea to pull slightly as you are sewing. That seems to prevent the wavy lines knit can get. Also, you will need a ball point needle for your sewing machine. 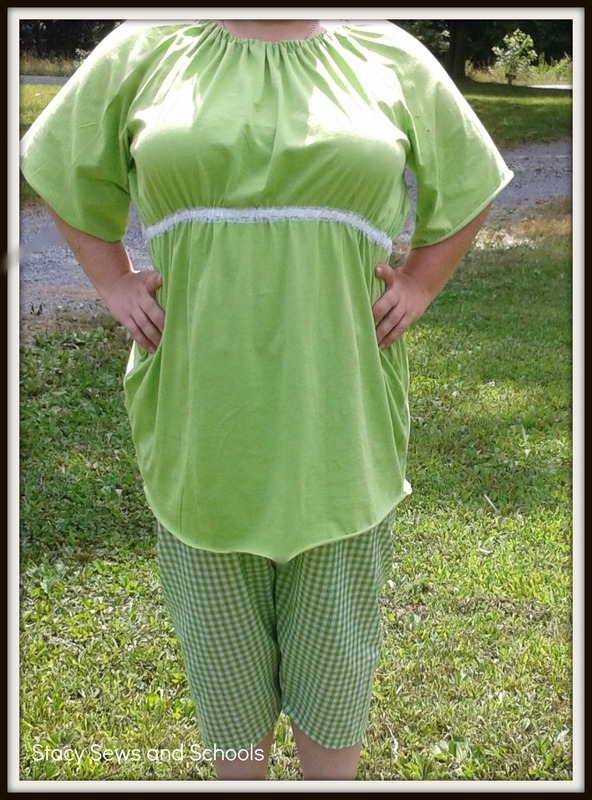 Step 1- You will need to decide how long you want your blouse. 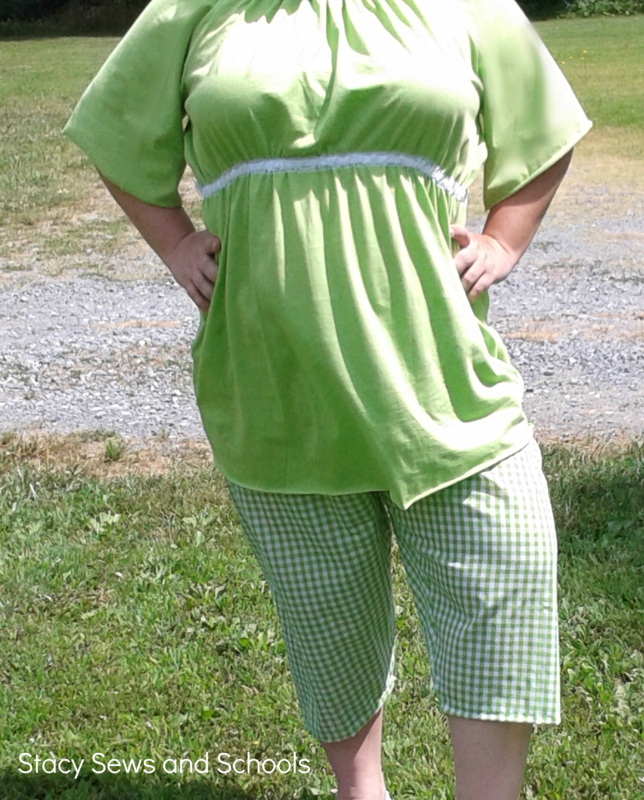 Since I am using gingham for the capris I wanted the blouse to be long enough to cover my back side (gingham is thin…. LOL). 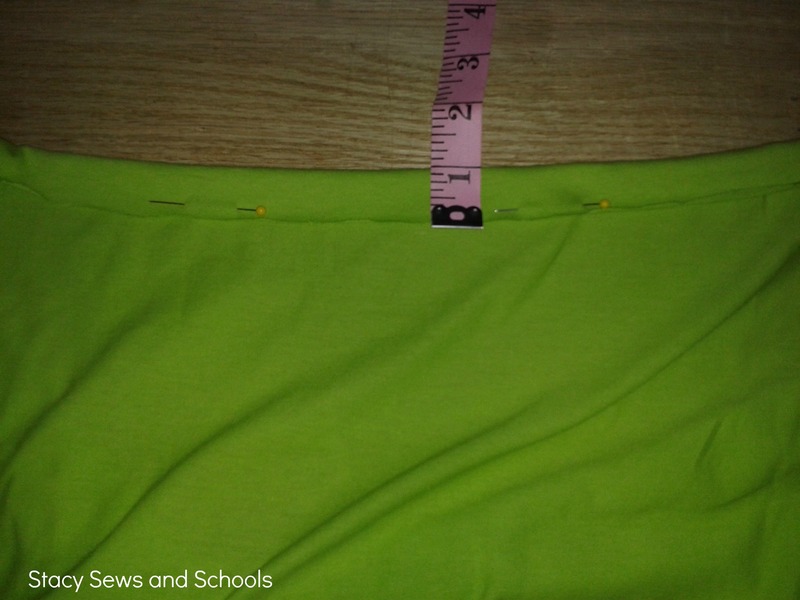 I just measure from my shoulder down to where I wanted the blouse to be and marked it with a pin. 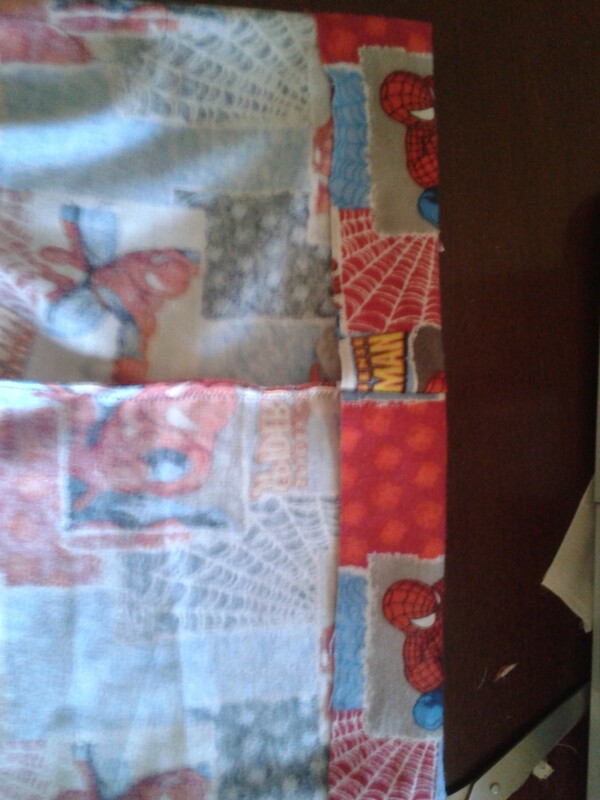 Then I folded the fabric over and cut. Set the left overs to the side for your sleeves. 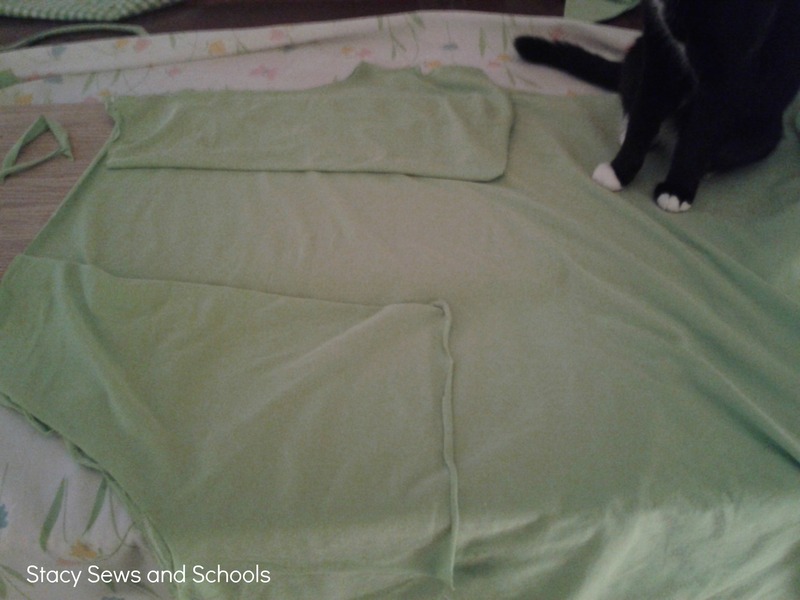 Step 3- Pin the pieces together and fold in half. 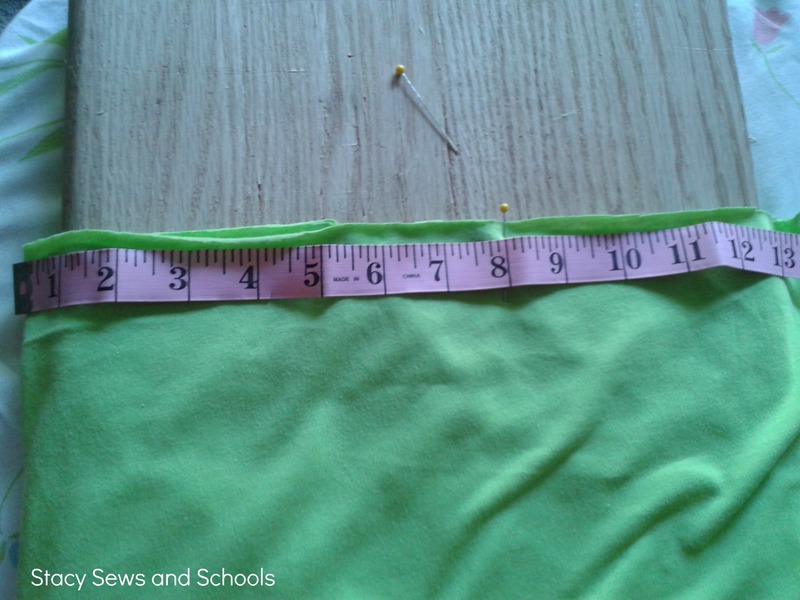 Step 5- Measure 10″ from top corner down the side (not on fold) and mark with a pin. 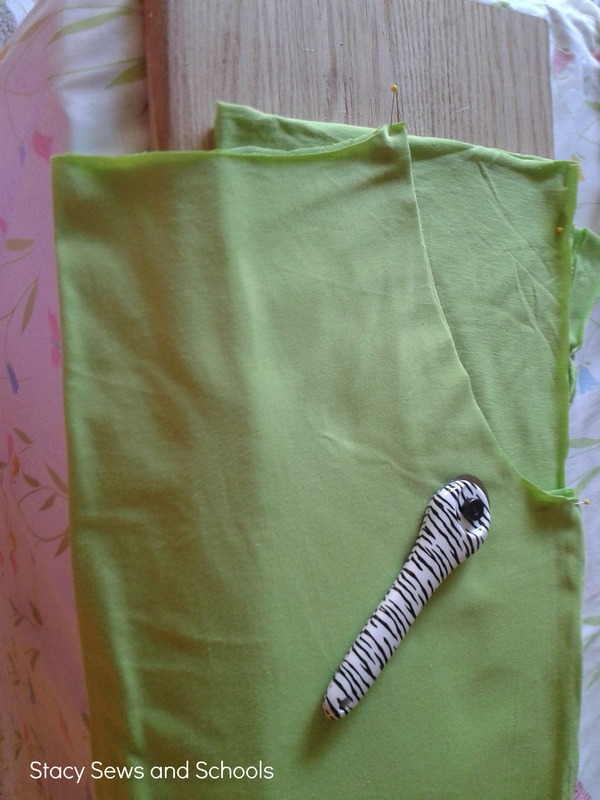 Step 6- Cut at a slight curve from the fold to your top pin. (The one that measured 8″) This will be your neck. Step 7 – Leaving a slight straight edge cut at a slight curve from your 8″ mark down to your 10″ mark. 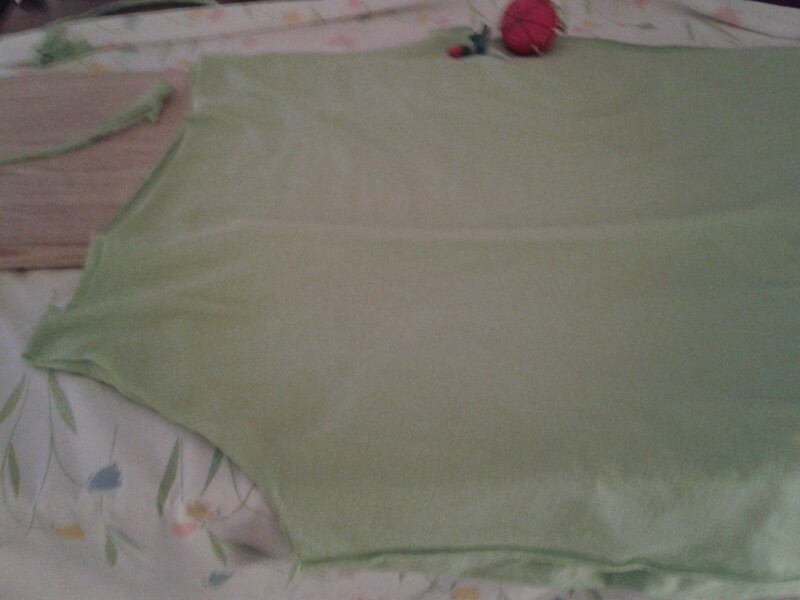 This will be where the sleeves attach. 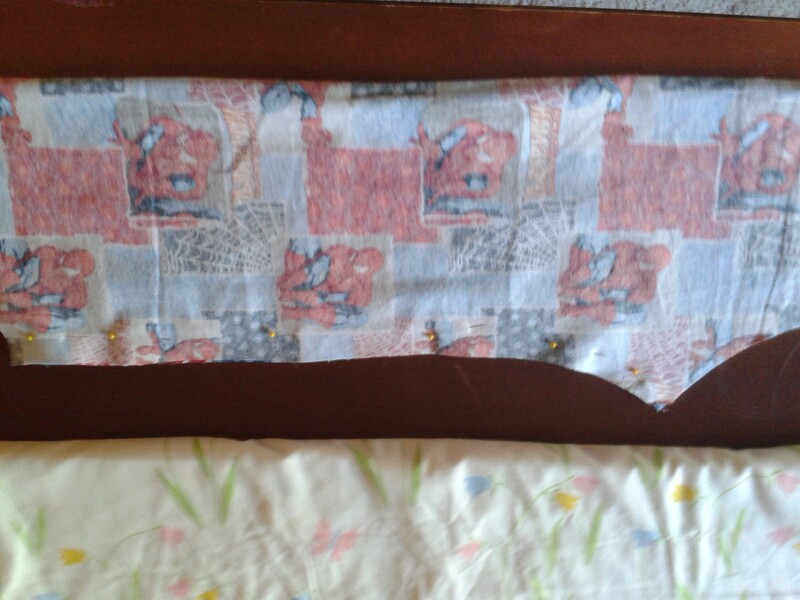 Step 8- Grab your left over fabric and fold. 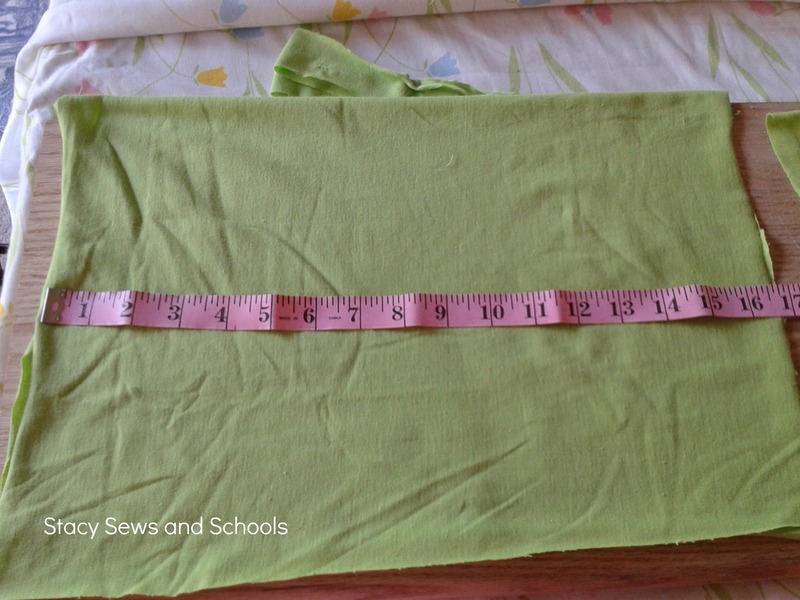 Measure 17″ by 11″ while folded. Cut 2. 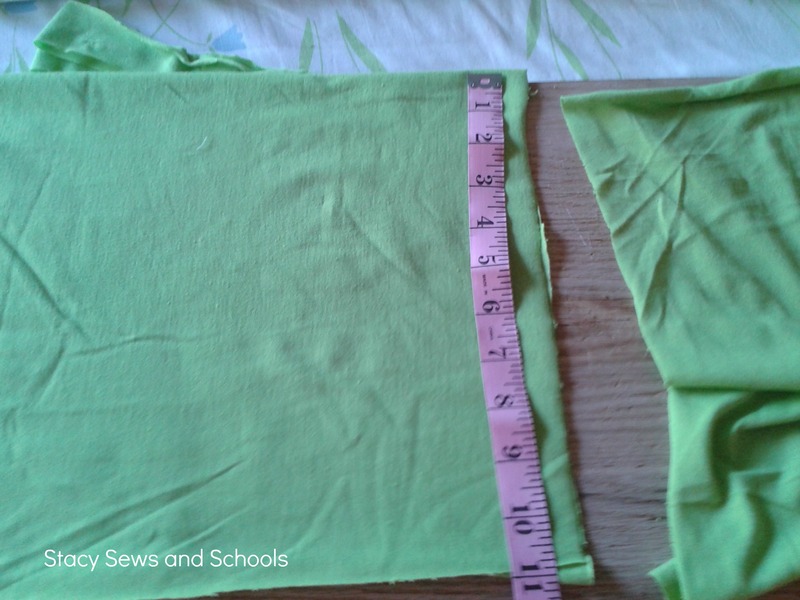 Step 9- Place both of your sleeve pieces (still folded) under your bodice pieces lining up the outer edges and the top edges. 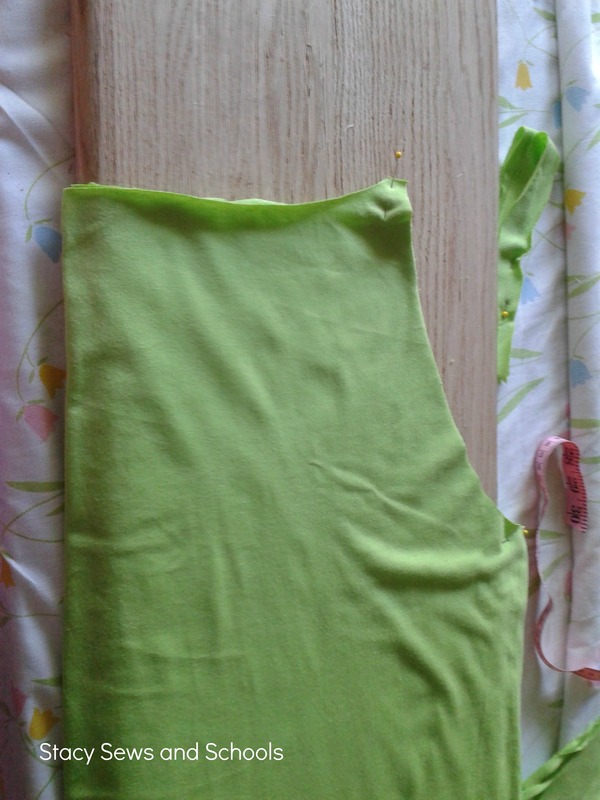 Using the bodice pieces as a guide, cut the slants into the sleeve pieces. 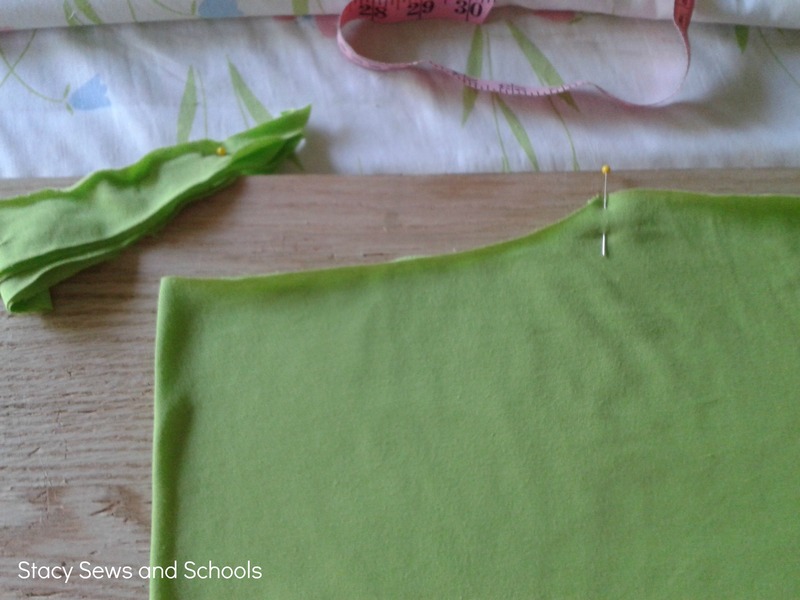 Step 10- Pin the sleeves to the front bodice piece – Since we are using knits there is really no right side or wrong side. If you are using something other than a knit then you place right sides together. 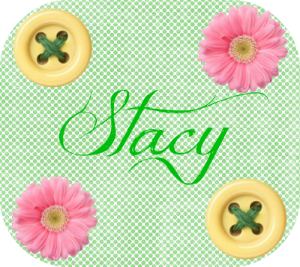 😉 Also both the front bodice and back bodice pieces are the same…. LOL But using that term might make it less confusing. 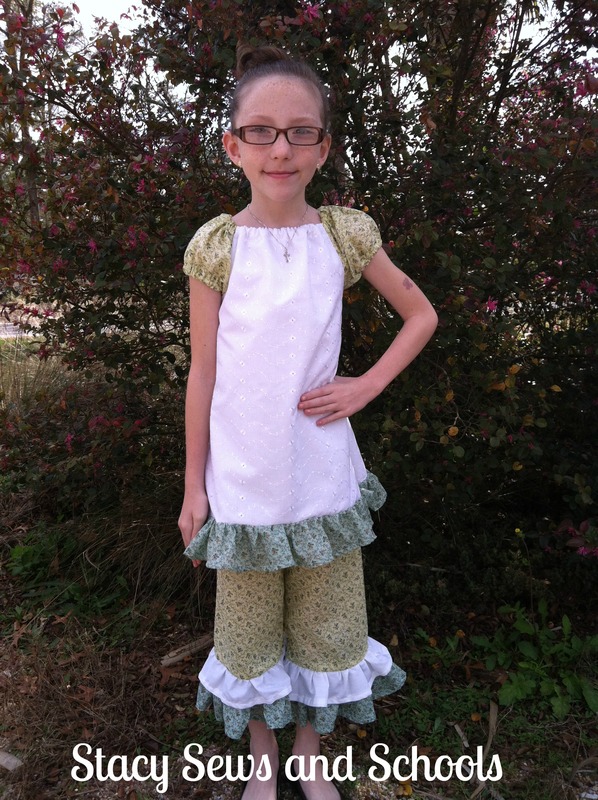 Sorry that the pic is kind of crappy….. 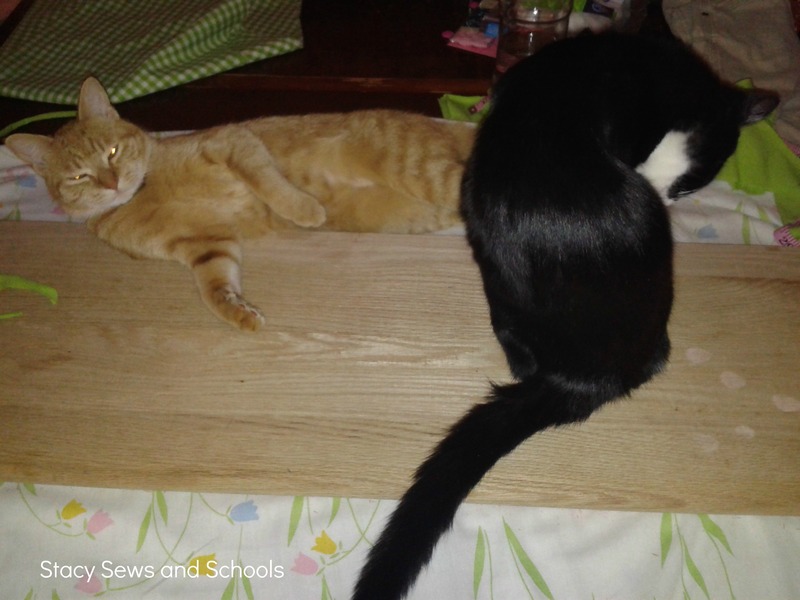 Remove the cats from your cutting/pinning board. SIGH….. 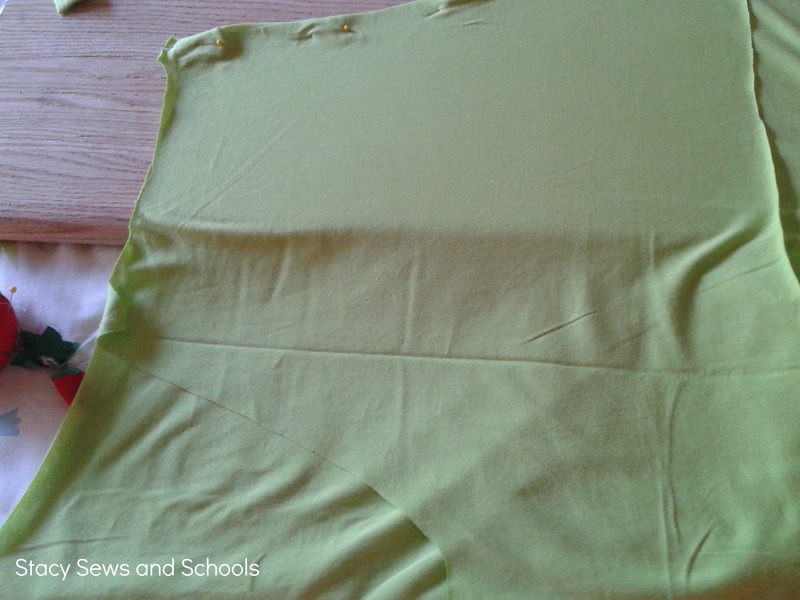 Step 13- Sew the sleeves to the bodice piece. 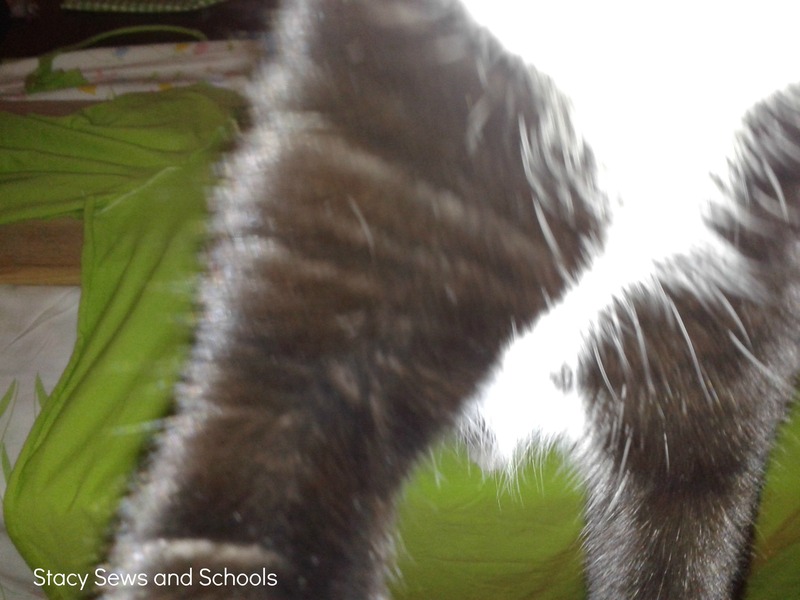 Love on your cat and see if she will let you continue……. Step 15- Sew a continuous seam from the sleeve to the end of the bodice, attaching the front bodice piece to the back bodice piece. 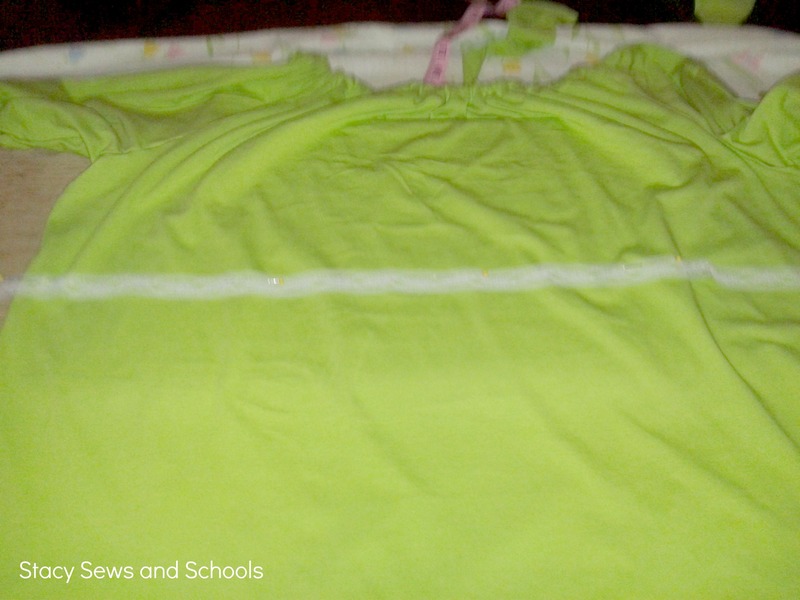 Step 16- While still inside out, fold over 1″ from the top of the neck line and pin in place. 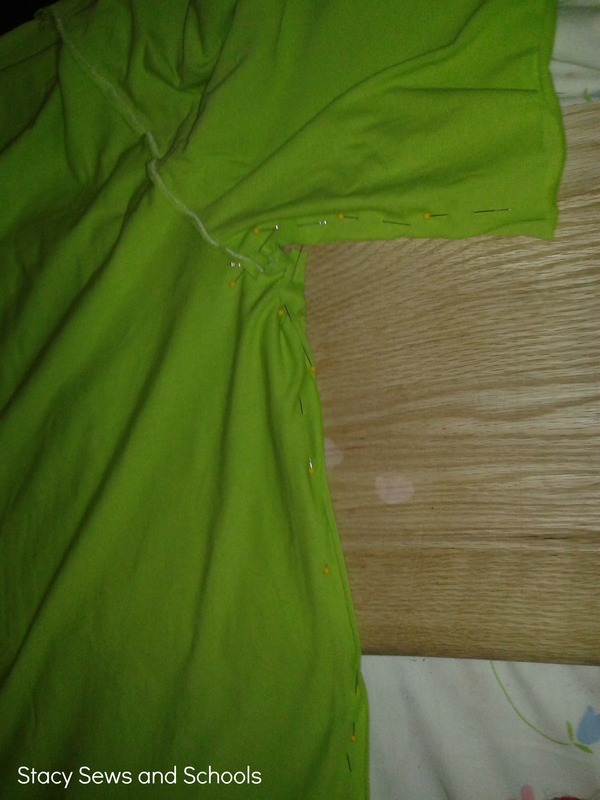 Step 17- Sew your neckline elastic casing, making sure to leave an opening. 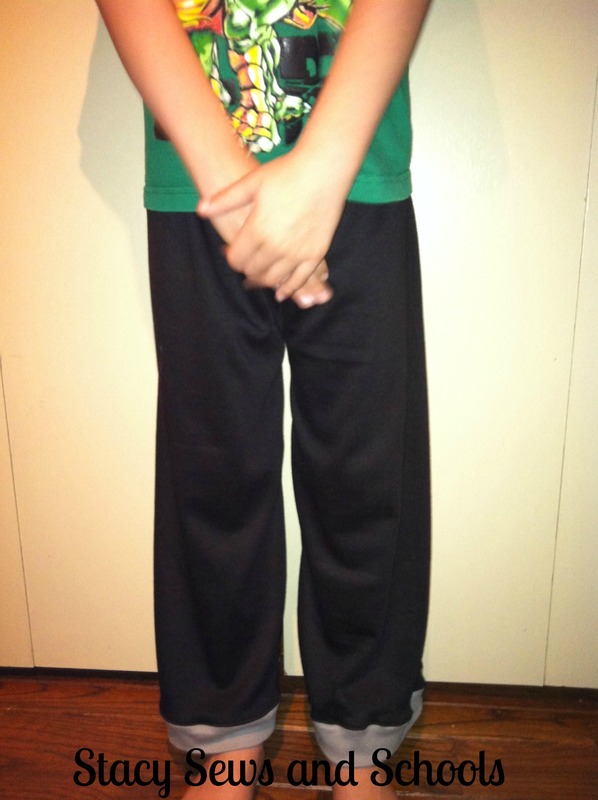 Step 18- Take your 1/4″ elastic and place it around your neck where you would like your neckline to sit. Cut. Step 19- Pin a safety pin to both ends of the elastic and push through the elastic casing, either holding tightly to both ends or pinning the “loose” end. This will keep you from losing one end inside the casing. 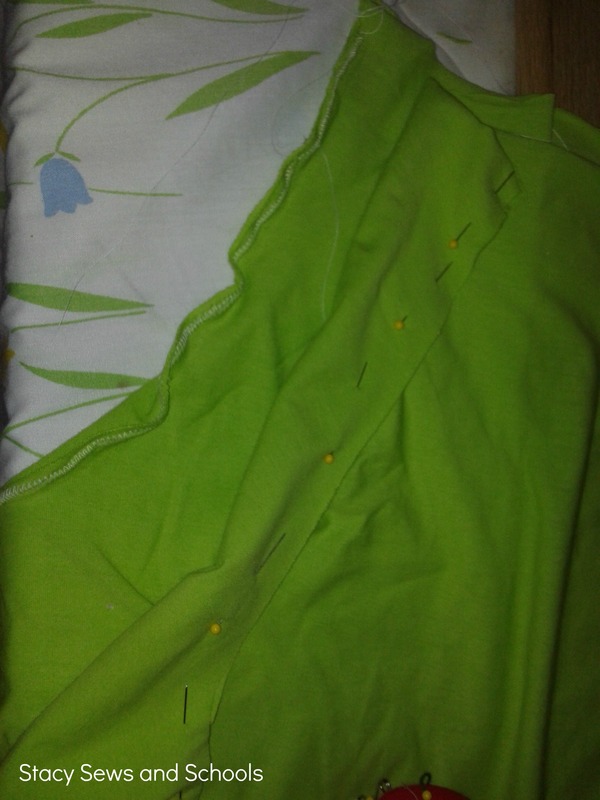 Step 20- Sew the elastic together. Step 21- Sew the elastic casing closed. If you want to add the empire waist stick right here. If not, add whatever finishing touches you want to your blouse and move on to the capris. Step 1- Try your blouse on and mark with pins where your empire waist should sit. 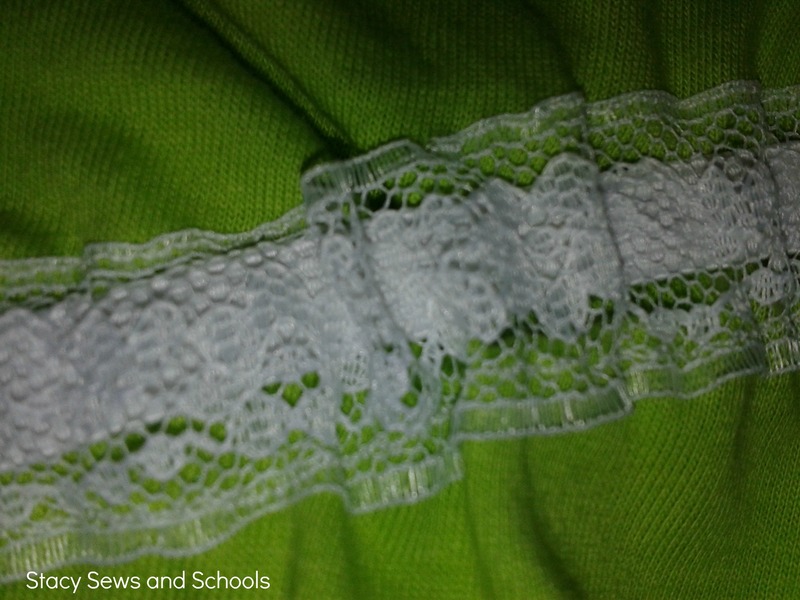 Step 2- Pin your lace/ribbon/whatever to the right side of your blouse taking care to keep it straight and leaving plenty of excess for when you sew it. 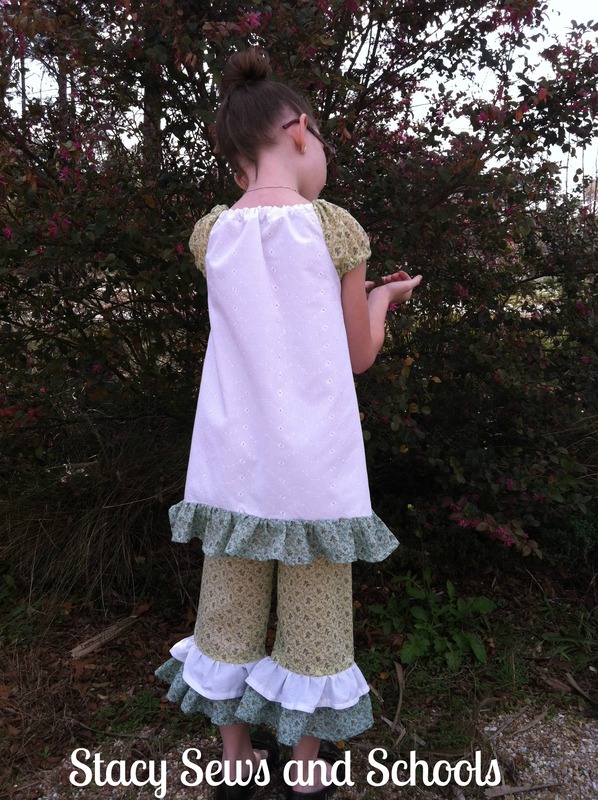 Step 3- Sew the top of your lace/ribbon/whatever. Step 4- Sew the bottom of your lace/ribbon/whatever making sure to leave an opening for the elastic. 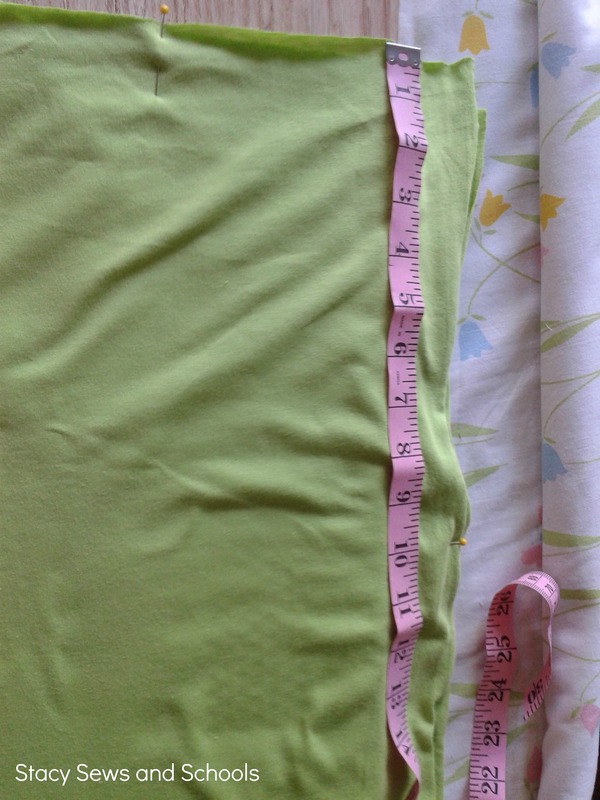 Step 5- Take your 1/4″ elastic and measure under your breast line. Cut. Step 7- Tuck one end of the lace/ribbon/whatever into the opening. 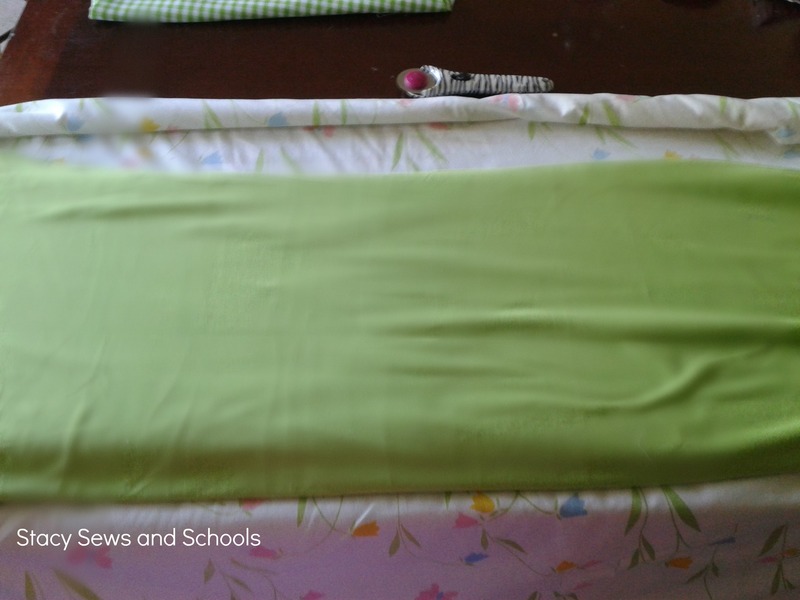 Fold over the other side and tuck it in. Now, on to the capris. I cheat a little here…. 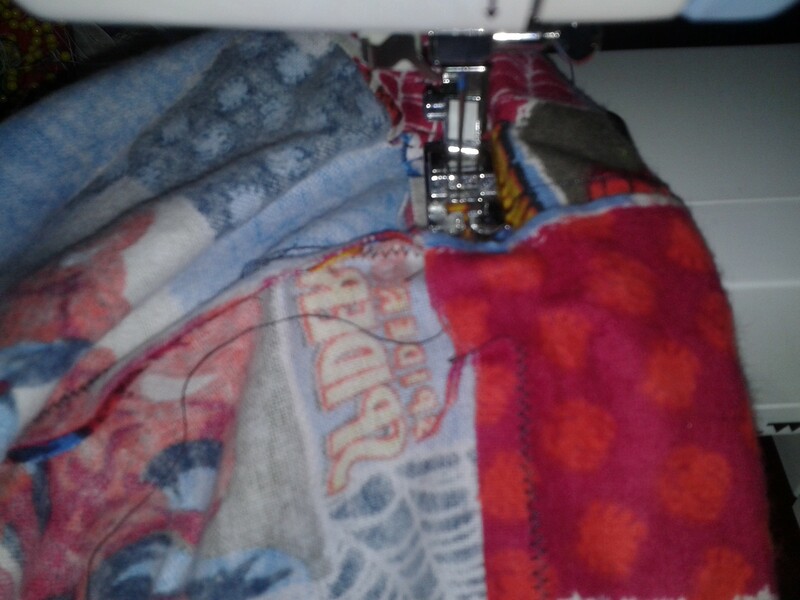 😉 After a couple of steps I am going to cut and paste the tutorial for the pajama pants… So when the fabric in the pics change, don’t be alarmed. 😉 LOL All the steps are the EXACT same. 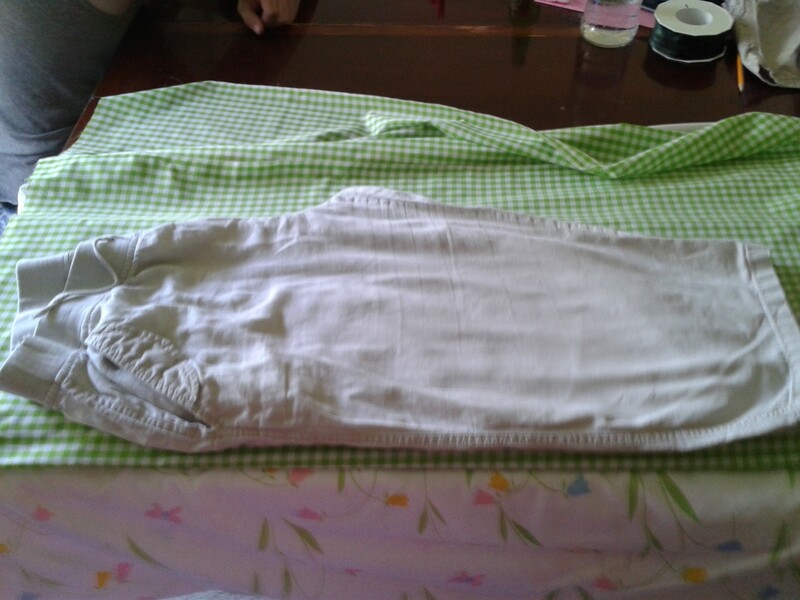 This is the way I make all my pants, capris and shorts. It’s VERY simple and easy. 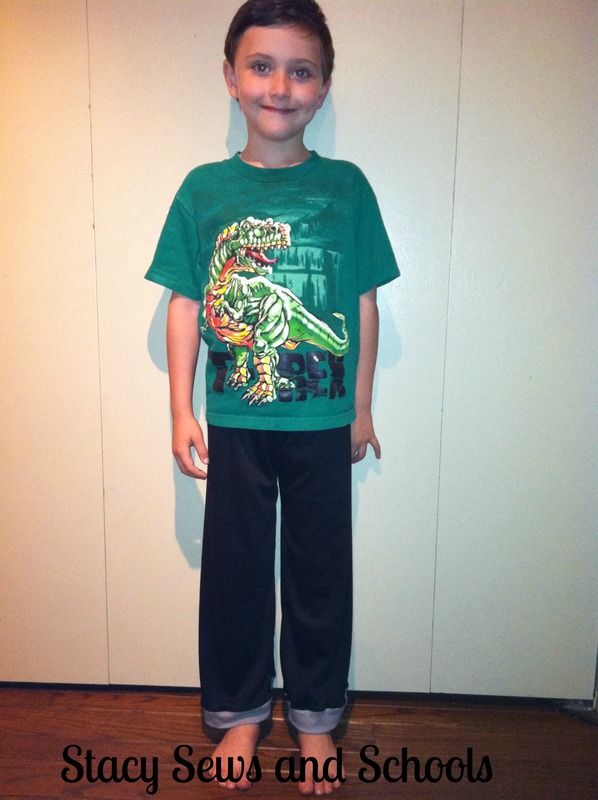 Step 1- Find a pair of capris/pants/shorts that fit you well to use as a guide. 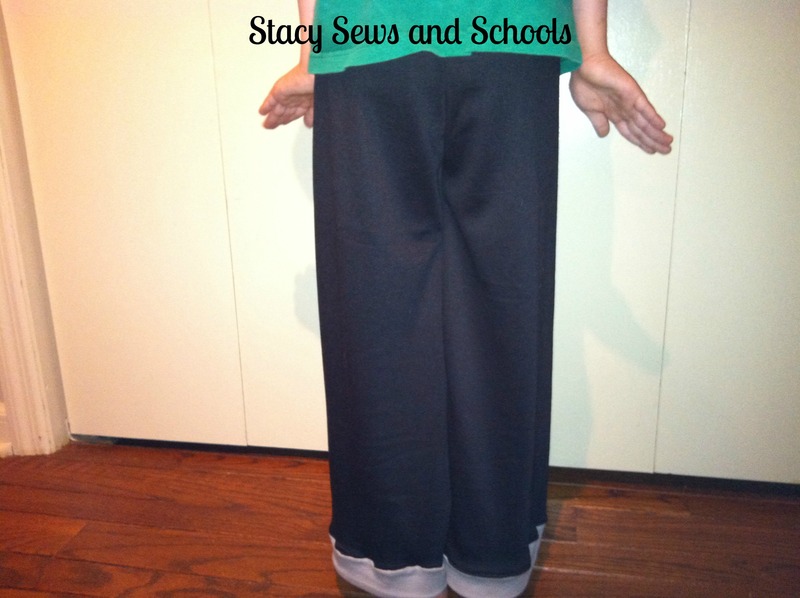 If you are using pants you will want to cut shorter for the capris. If you are using shorts you will want to cut longer. 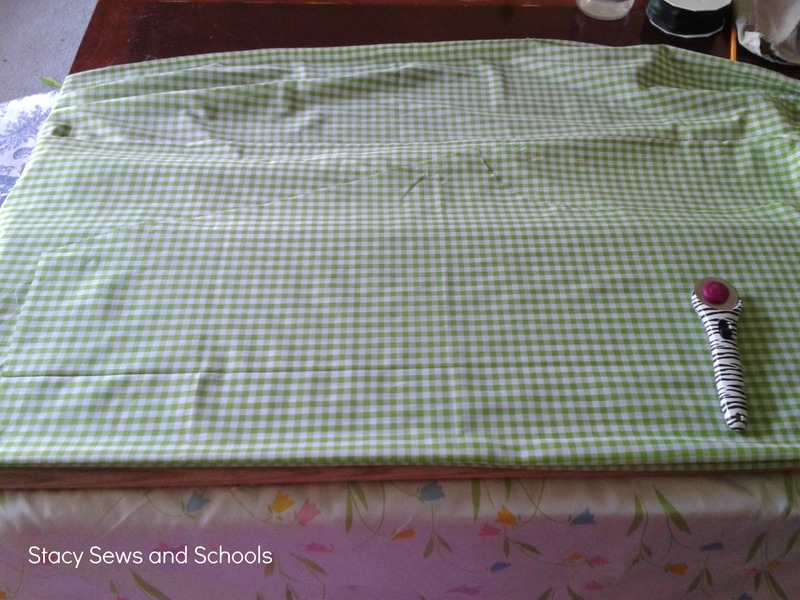 Step 2- Fold your fabric and line it up with the width of your guide making sure to leave room for seam allowances. 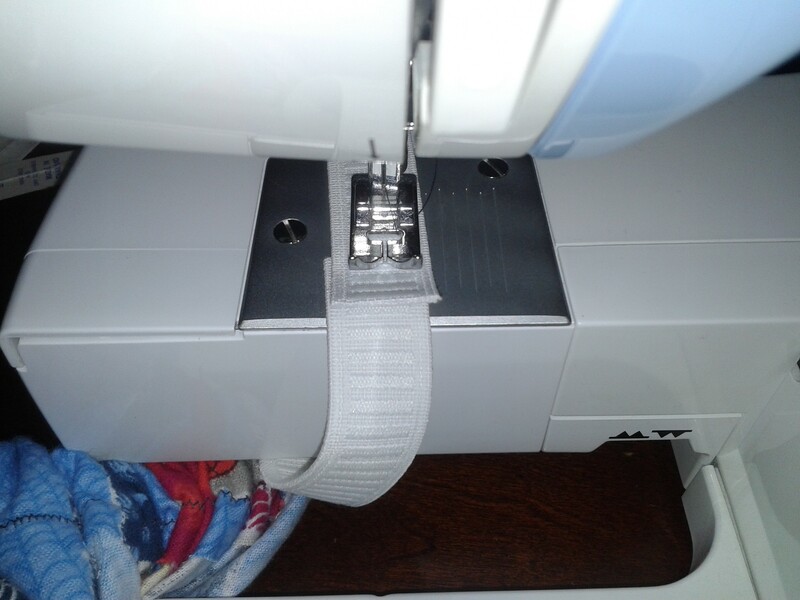 Step 3- Place the outside line of your guide on the fold. Pull the crotch of your guide ALL the way out. 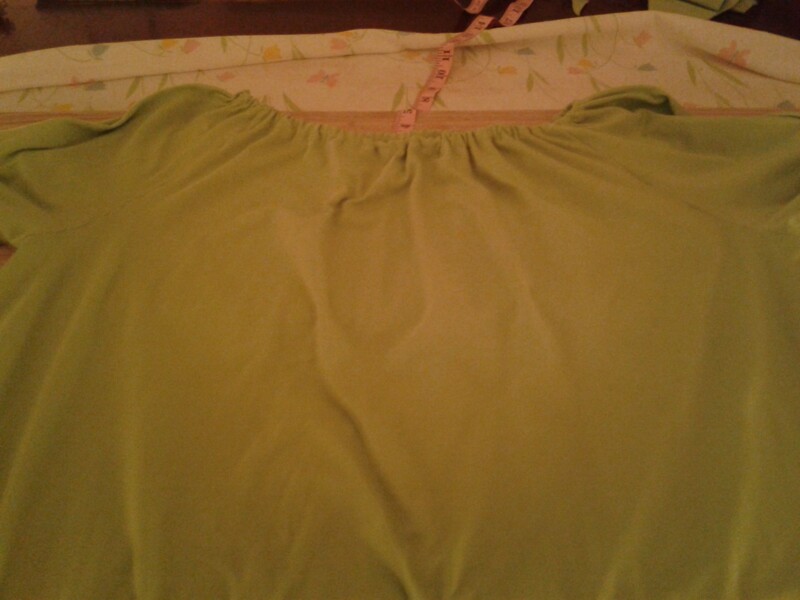 Step 4- Cut around your guide leaving excess for seam allowance. 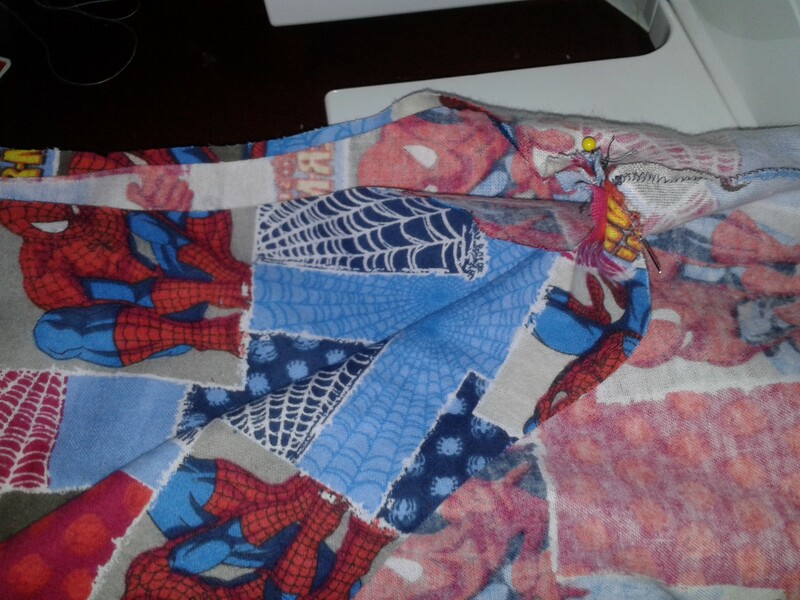 Step 5- If you are using a fabric that has a right side and a wrong side you will want to flip your guide piece over and cut it that way. Place your newly cut leg as a guide and cut the second leg. 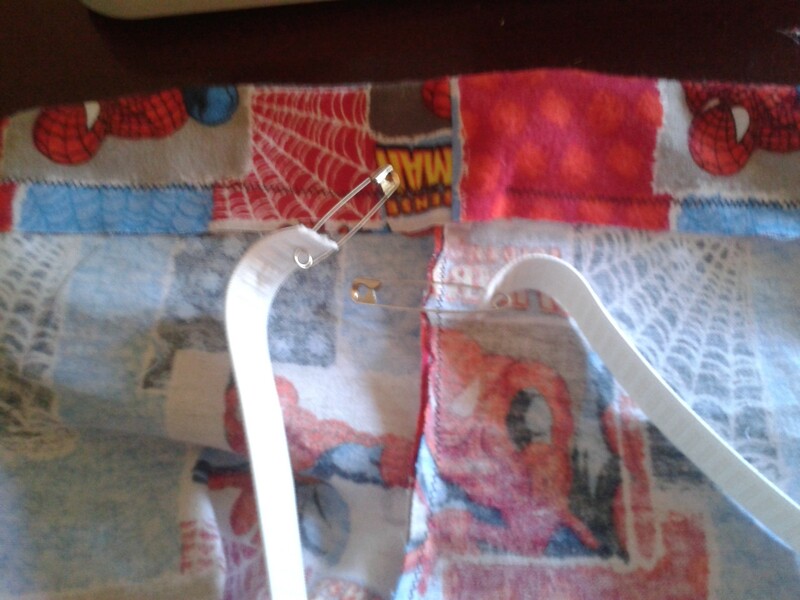 Step 12- Take one leg and pin the side with right sides together sew up from the bottom to the point of the crotch. Do the same with the other leg. Step 13- Turn ONE leg right side out and stuff it down the other leg, matching up seams. Pin in place and sew from the top of one side, down to the crotch and up to the other side. 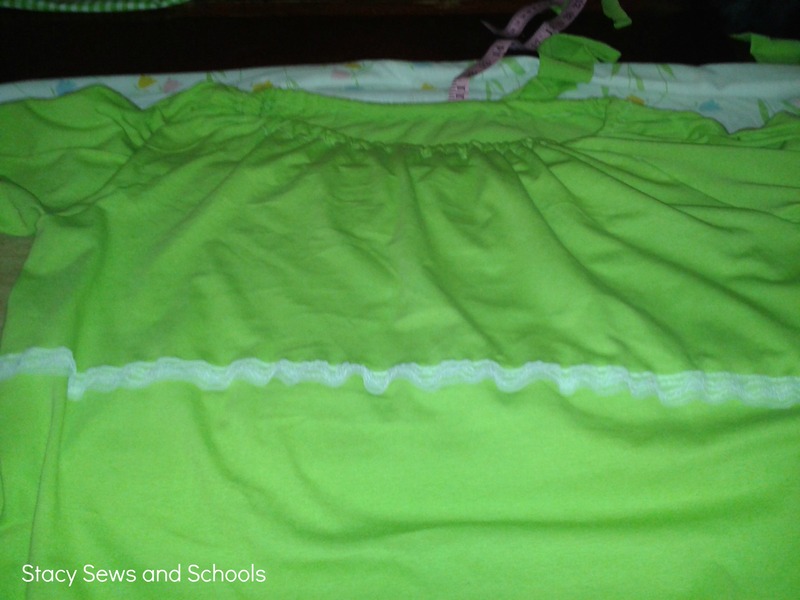 Grab your child and measure the elastic around the waist. Other people will say to add a little for seam allowance but I find that always makes the pants/skirt/shorts a little too big. 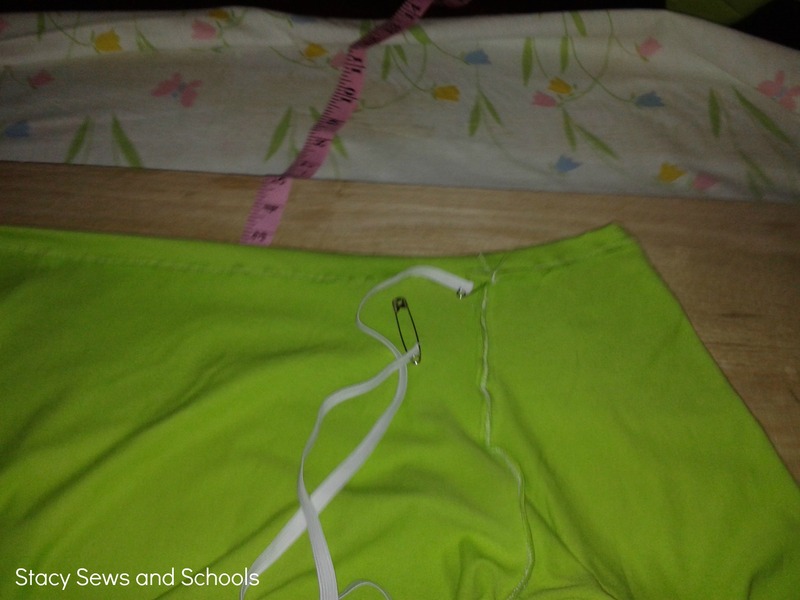 Step 17- Sew ends of elastic together. Step 18- Sew the opening closed. Let me know what you think! Is this easy to follow?